We’re looking for a special kind of person. A willing, enthusiastic philanthropist with a passion for helping others. Someone who will be an active ambassador for UA as well as all things good, travelling around Britain and lending a hand to a different charity or third sector organisation each week for a year. Spreading our ‘Do More Good’ ethos far and wide and making real difference to those who need it most. From marketing, to fundraising, to decorating; your mission will be to help them out however they require. Helping them to do more good. To apply for this position, submit a short video entry along with an online application stating why you would be the best person for the job to the website below. This entry was posted in employer, employment, Friday's Featured Vacancy, Fun, job, jobshop, recruitment, UK, vacancies and tagged nicest job in britain, philanthropy on 19 September 2014 by UoC Careers Team. This is an excellent opportunity to be part of our Entertainments Technical Team within our fantastical resort. Lighting, sound, video systems, show control, and special effects – all the things that get a great entertainment technician’s heart racing. There’s nowhere more spectacular than the Alton Towers Resort for you to practice your skills! You will help us deliver world-class shows, themed walk-through attractions, and Fireworks events across the Resort in 2014. This is a really broad role touching all aspects of show and event delivery on a massive scale utilising some of the latest equipment and innovations within the technical industry! These are some of the largest events of their kind in the UK, needing impressive technical know-how, installation and operation skills, and creative ability in order to be brought to life for hundreds of thousands of people. Contracts run from August/September to November 16th 2014. This entry was posted in careers, employer, employment, Friday's Featured Vacancy, Fun, job, jobshop, recruitment, vacancies and tagged alton towers on 29 August 2014 by UoC Careers Team. 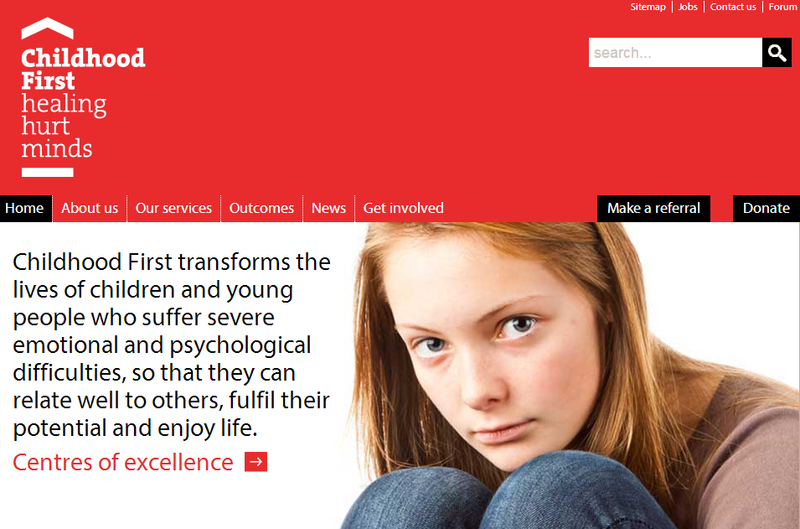 Childhood First is a charity with a long and successful history of providing care, education and treatment for traumatised children and young people. Greenfields Therapeutic Community comprises of Greenfields House, Gables House and Greenfields School and is for a group of 14 young people with complex emotional needs aged 5-14yrs. We are looking for thoughtful and enthusiastic individuals to work within close and supportive teams to deliver outstanding care to a group of vulnerable children. We recognise that everyone who joins the team at Greenfields has something unique to offer and therefore we are currently interested in hearing from individuals with experience of working with ‘looked after’ children. Alternatively, you may have experience in bringing up children in a family setting and providing them with an experience of building safe and meaningful relationships. We therefore require applicants to demonstrate enthusiasm, commitment, excellent communication skills and a willingness to be self reflective and committed to their own as well as the children’s personal development through support, supervision and training with the opportunity to gain academic qualifications in Psychosocial Care. Visit http://childhoodfirst.org.uk/get-involved/jobs/ for more information. Northamptonshire Social Work Academy are hiring Newly Qualified Social Workers! They are offering a highly competitive pay and benefits package with generous annual leave and bespoke learning and training opportunities. What is the Northamptonshire Social Work Academy? We are revolutionising the way we work within our Children Services and have launched the Northamptonshire Social Work Academy so that we can guide and support NQSWs through their crucial first year of practice. Only the most promising and passionate advocates for children and young people will be selected to take part in this year-long intensive supportive mentoring programme. Let’s face it being a Social Worker is not an easy environment to work in. The Academy will therefore provide guidance and support as you embark on your challenging and hugely rewarding career helping to support children and families. You will be equipped and highly trained to become the best possible social worker with a phased approach to the volume and complexity of your workload You’ll have the support of a strong leadership and management team who will work with you to identify training and development opportunities. We are expecting a high volume of applicants. Apply now to avoid disappointment. There will be three AC dates in June, July and August. This entry was posted in application, careers, employment, Friday's Featured Vacancy, jobs, jobshop, vacancies and tagged social care, social work, working with children and families on 20 June 2014 by UoC Careers Team. This position is for a fixed term of ten months. Do you know your tweet from your status update? Could you coordinate an existing marketing calendar with online activity, optimising our visibility and relevancy? Are you able to track our social media influence and monitor how we are perceived as a business? JTL, established since 1989, is the leading work-based learning provider in the building services engineering sector across England and Wales. We`re a not-for-profit charity offering advanced apprenticeships in electrical, engineering maintenance, and now mechanical engineering services comprising plumbing, heating and ventilating and refrigeration air-conditioning. We serve approximately 6,000 apprentices and 3,500 employers in 7 regions across England and Wales. We need someone to join us and take charge of our already busy social media profile. On a day to day basis, as you can imagine, you will be updating our profiles with relevant and engaging messages. But this role also offers you scope to get involved in so much more, from contributing to the development of innovative media content across web, mobile and email platforms, to reporting usage statistics to the marketing teams and interested staff members. You will also be responsible for maintaining and organising an image and picture library and assisting the team with print and digital projects as required. It goes without saying that you will need a solid understanding of social media engagement, excellent IT skills and be happy working on multiple projects at once. More than this, you will get to use your design software skills and knowledge of wordpress/umbraco or similar CMSs. To discover more about this role – and the attractive rewards and prospects that go with it – please visit http://jobs.jtltraining.com/jobs/head-office-orpington-kent/social-media-coordinator/812/ and apply online. This entry was posted in employment, Friday's Featured Vacancy, job, jobshop, recruitment, social media, social networking, vacancies and tagged blogging, social medai, Social media, tweeting, twitter, wordpress on 13 June 2014 by UoC Careers Team. If successful, you can look forward to a comprehensive rewards package and a range of options to support your continuous professional development. 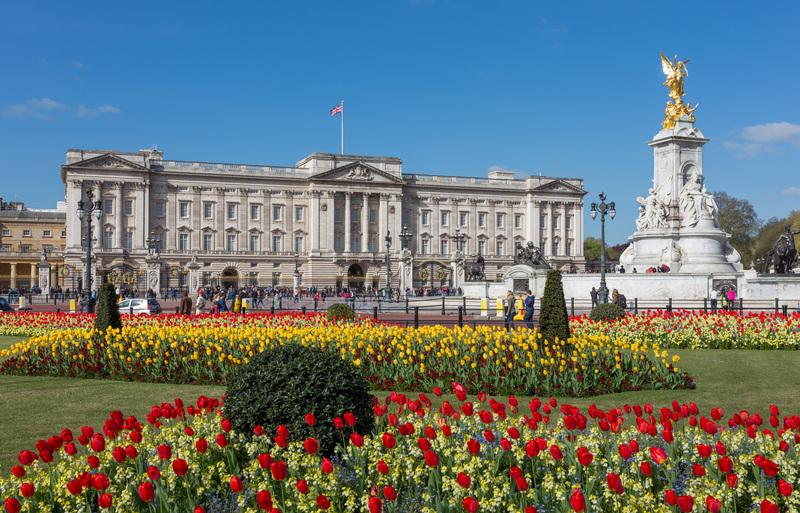 This entry was posted in application, career, employer, employment, Friday's Featured Vacancy, job, jobshop, recruitment, UK, vacancies and tagged buckingham palace, London, royal family on 6 June 2014 by UoC Careers Team. SNAP is expanding and we are looking for two new results driven, passionate recruiters; for our developing SNAP16+ division. We are a unique company based in a well-located, friendly Shoreditch office, which aims to enhance the quality of life of those with additional needs. We work with private clients, families and case managers to place high calibre care professionals including; PA’s, Therapists, Enablers, Buddy’s and Rehabilitation Assistants to support young people and adults with a wide range of additional needs. We offer a quality service matching candidates on both personality and experience. Most of our clients are based in the UK, however we are rapidly developing our overseas placements, working with clients in Europe, America and the Middle East in particular. The role will include: visiting families and clients across the UK, writing detailed job descriptions, searching for and short-listing candidates and interviewing via Skype or face to face. The role is mainly office based, with no two days being the same, therefore we are seeking dynamic, confident and efficient people with excellent communication and personal skills. The basic salary will be £20,000 gross per annum, plus an excellent commission structure with realistic OTE being £38,000 or more! The core working hours are Monday to Friday 8.30am – 5.30pm, with two Saturdays a month 9.00am – 3.00pm (with a day off during the week if working a Saturday). If you are a dedicated, hard-working person with a passion for assisting those with special needs and will get a buzz from hitting those targets, please send your CV and a let us know why you feel you would be great for this role. Be able to work using your own initiative and as part of a small but busy team. Having good special needs knowledge, (ideally this will include with individuals with an Acquired Brian Injury) is highly preferable and a great advantage, either personally or professionally. We are also keen to hear from people who have the passion to develop their knowledge and a keen interest in this field. Please send your CV and a supporting email to sally.britton@hotmail.com detailing why this job is of interest to you and what skills you feel you can bring. This entry was posted in employment, Friday's Featured Vacancy, Health, job, jobs, jobshop, recruitment, vacancies and tagged disability, recruitment, social care, support on 2 May 2014 by UoC Careers Team. A placement is a great way of making your CV stand out from the others, and you stand out from the crowd – if your course doesn’t include a mandatory placement, why not take the initiative and find one yourself? The Careers service can help you find the right placement during your time at University. We can help you identify suitable businesses and create a CV and cover letter to support your application. Through our careers fairs and events you could also meet businesses who may offer you placement or internship opportunities. At the University of Cumbria we also have a number of schemes where we work with businesses to create placement opportunities for a range of students from across lots of different disciplines, including UNITE with Business and the Business Placements Service (BPS). These services prepare students and graduates for the world of work by providing you with the skills and experience to make a real difference to your employer’s business from the first day you start work with them. What is the Business Placements Service? 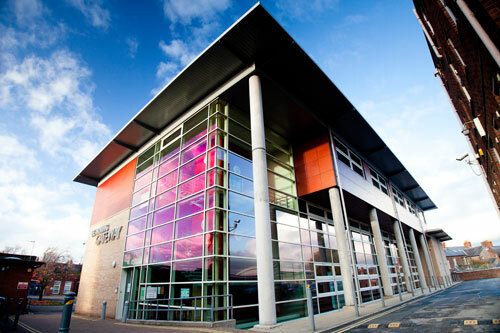 The University of Cumbria Business School organises undergraduate and graduate placements of between 2 to 13 weeks (part-time or full-time) in local companies in Cumbria and surrounding regions for students and graduates from any UK College or University. The work would be a project based placement which will focus on a particular issue that the company has to resolve. The type of work available depends very much on the type/needs of the company. Past projects have included working on the development of websites, re-designing marketing material, streamlining working processes and undertaking research. There is no fixed weekly allowance, companies can decide what they want to offer but we urge companies to offer an allowance that will help to attract good quality candidates. Placements are invaluable in giving you an advantage over other students/graduates. The experience you gain during these placements can include business specific experience using the skills you have learned during your studies as well as transferable skills such as communication, team working, time management and organisational skills amongst many others. It also gives you a chance to try working for a particular type of company or in a particular environment before committing yourself to it in the long-term. How do I get to hear about any vacancies? The most important thing to do is to register your details with us to receive our weekly newsletter. You can also look at our current vacancies or search for vacancies and prospective employers through Prospects. If you are a student at the University of Cumbria you may also be targeted directly with details of any vacancies that are relevant to your degree course. We gain this information from the University of Cumbria student database. If you are not a University of Cumbria student or graduate, you are welcome to register your details on our database. You can apply if you are an undergraduate (any year), postgraduate or graduate of any discipline from any UK college or university. Just register your details and we will email vacancies to you. In the meantime if you would like any help with finding a placement opportunity email Careers@cumbria.ac.uk and we can help! This entry was posted in business, career, careers, employability, graduate, graduates, job, jobs, jobshop, placements, UNITE, university of cumbria, vacancies on 14 April 2014 by UoC Careers Team.